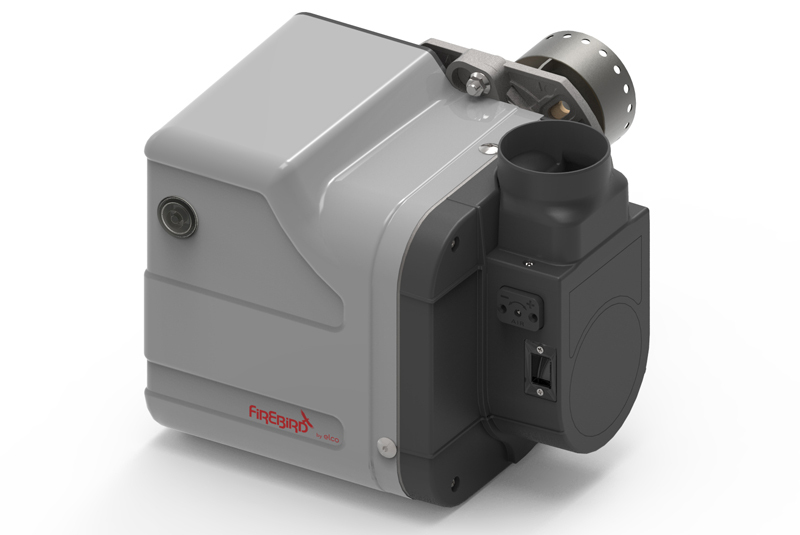 PHPI looks at the ins and outs of the low NOx burner featured in Firebird’s new Envirogreen range. Following a three year research and development programme, Firebird has launched a new range of low NOx oil-fired boilers ahead of the latest changes to the ErP Directive (formerly the Ecodesign Directive). Designed to provide excellent combustion performance, the Envirogreen range features a cutting-edge low NOx burner designed in conjunction with Elco. Said to offer unbeatable reliability due to the absence of error-prone parts, the new range delivers advanced boiler technology at the same price as a yellow-flame boiler. The Envirogreen range includes models for internal and external applications in a variety of outputs. The Firebird by Elco low NOx burner is available in a range of outputs and is easily installed, commissioned and serviced using a single Allen Key. The burner produces NOx emissions as low as 60mg/kWh – half the new 120mg/kWh limit which will be introduced on 26th September. The new burner is designed to streamline installation and servicing for the heating engineer. Maintenance and commissioning tasks can be carried out quickly and easily using the 4mm Allen Key provided in the burner pack. Once the burner cover is removed by releasing two Allen Head screws, the heating engineer has access to all major components – which are clearly positioned. Burner components are quickly removed and replaced through a ‘Plug and Play’ approach. No major wiring tasks are involved – even on a control box replacement. Each component is supplied with its own unique clipped plug to prevent any errors occurring when re-connecting components after servicing. For routine annual servicing, the one-piece combustion head can be quickly removed to allow access to the electrode group and atomising nozzle. Mistakes when reassembling after a routine servicing are reduced by the addition of a locating point to ensure that the air mix disc (coloured for different output identification) is correctly located. All routine servicing tasks can be carried out at the boiler front. A special plate that forms the frame of the burner can be attached to the burner quick release bolt on the burner flange. This allows the burner to be mounted in three separated maintenance positions. For more information, visit www.firebird.uk.com.